Note: for compounds with multiple adducts, only one of the adducts' CCS values needs to be within the threshold. Also, because CCS calibration is only applied within a finite m/z range, adducts with m/z less than 150 Da will use a CCS threshold of 10% regardless of the user entered threshold. MSP files contain information about fragmentation masses and intensities for a set of precursors. 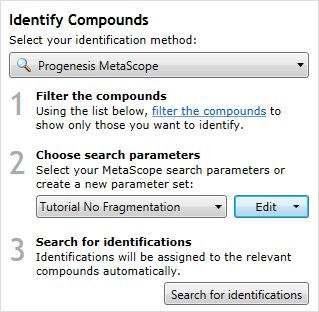 In MetaScope, you can use an MSP file either as a standalone compound database, or you can use it to provide experimental fragmentation information for an SDF or an Excel database. To use an MSP as a standalone database, it needs several specific fields. Name Required - uniquely identifies the compound. Formula Used to calculate a neutral mass. With a neutral mass, search results can be found regardless of the adduct ion form. PrecursorMZ Required if Formula is not provided, used to search for possible matching precursor ions. Precursor_type The name of the adduct ion which was detected in an experimental database. Allows a neutral mass to be calculated even if Formula is not provided. The values in this field will need to match the names of the adducts you've specified in your experiment. Charge If provided, only matches this entry against experimental compounds with a matching charge. Num Peaks Required - the number of fragments in this entry. Field names are case insensitive. Num Peaks must be the last entry before the list of fragments, but otherwise they can be in any order. 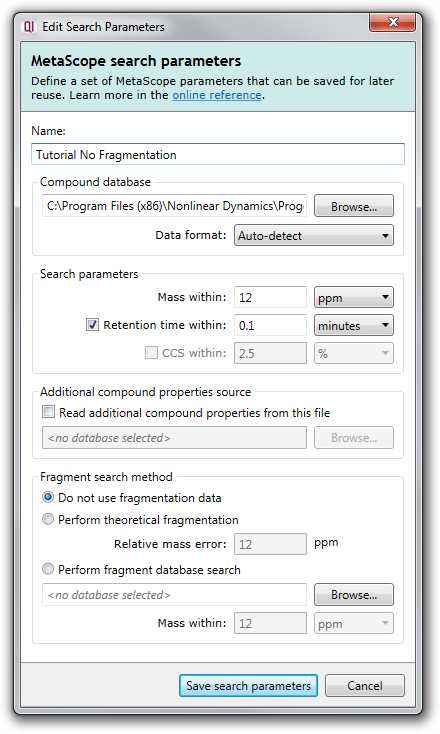 You can create your own fragment databases in Progenesis QI. 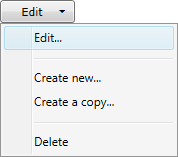 You can also download an example database.